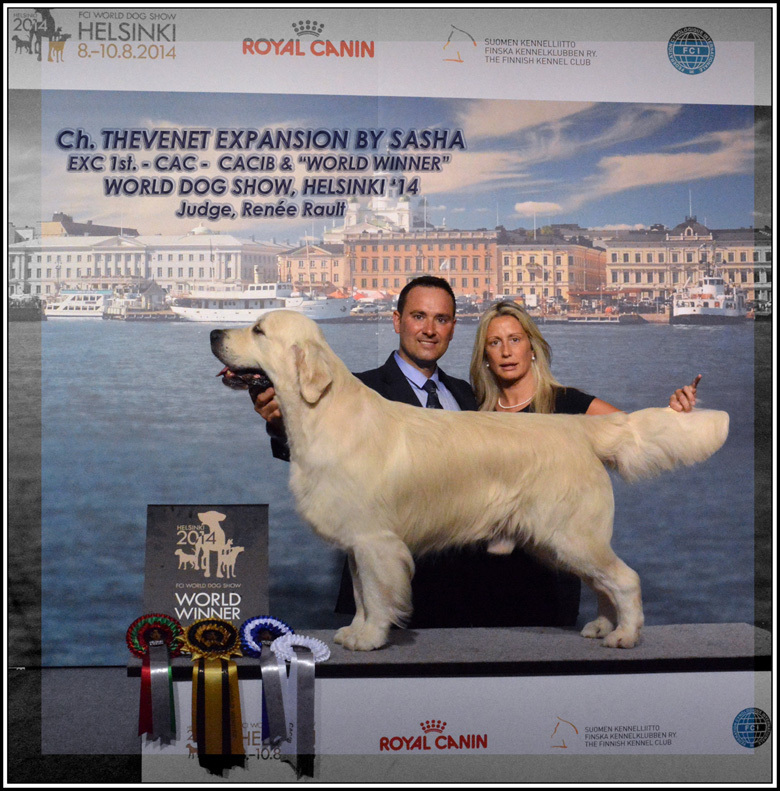 CAC & CACIB becoming "WORLD CHAMPION" and "FINISH CHAMPION"
"MAGIC MOMENTS IN HELSINKI 2014"
October 12th. 2012: THEVENET EXPANSIÓN BY SASHA becomes TRIALER in "Copa de España de Caza" of Tudela under the judgements of Jaques Monçavoir. Ch. 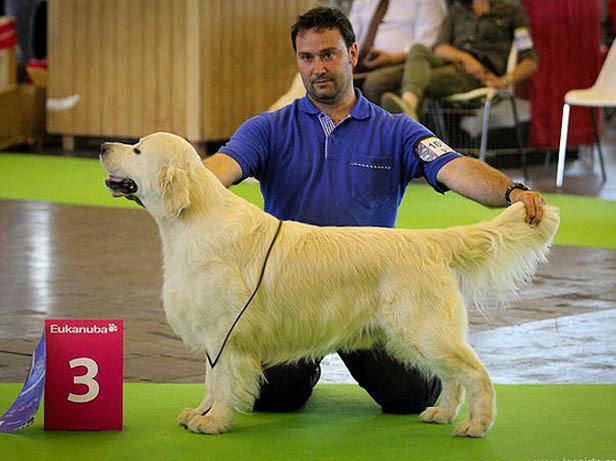 Thevenet Lord Of The Rings, Top Golden 2011 & 2012 & Top Stud Dog in Spain 2011 !!! 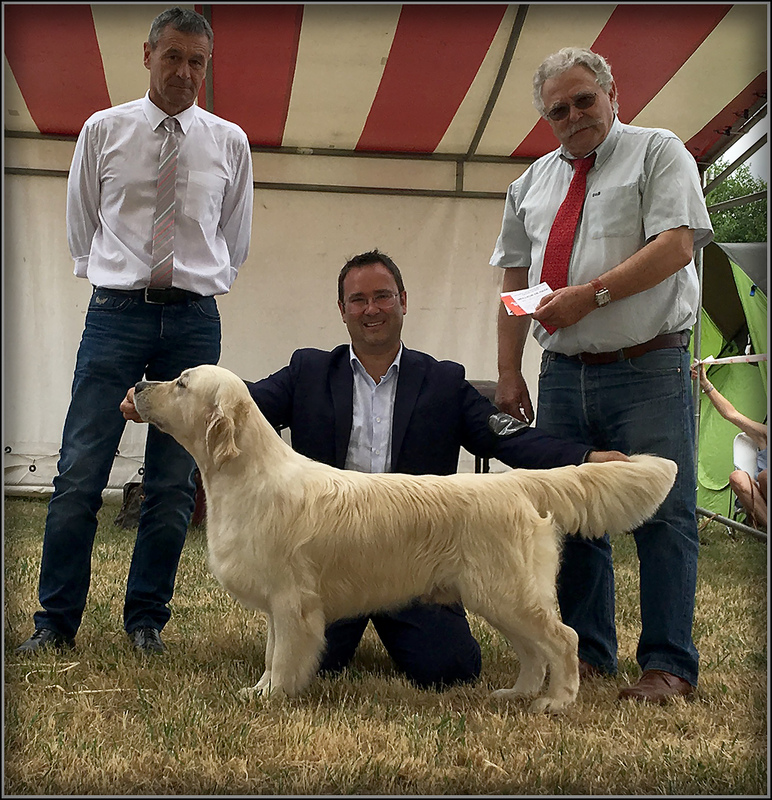 Welcome to "THEVENET Golden Retrievers"
My name is Santi and I have been breeding Goldens for some time with great love and passion. My dogs live with me at all times-- free to work and play while developing both physically and psychologically. I breed only Golden Retrievers. 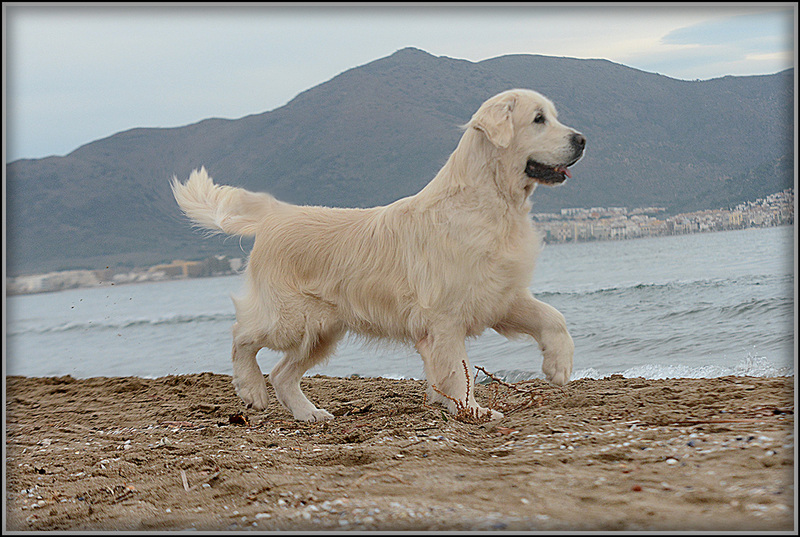 My aim is to produce healthy, good looking dogs with ideal Golden temperament. My dogs have been able to compete at the highest level in the show ring and in field trials. Most of all, I breed wonderful, faithful family pets who will be as devoted to you as you are to them. You will be truly impressed with their happy natures and will to please. 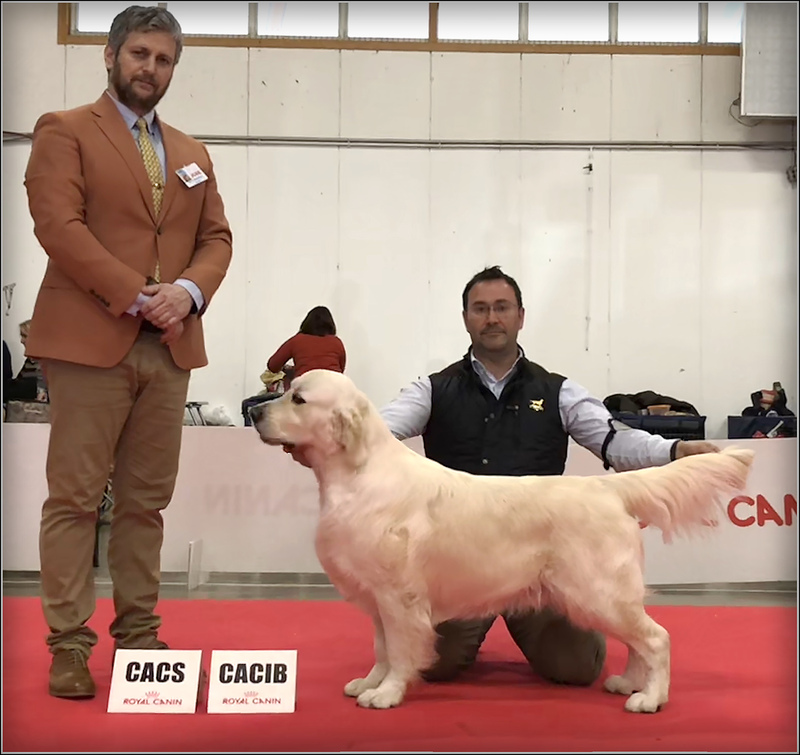 I am especially proud of my "Dual Purpose" Golden-- CH Real McCoy of Glen Sheallag --who has earned seven official championship titles as well as Trialer-Recommende for the Ret. Club de France. All my dogs are tested under the BVA scheme and their eyes have been tested as well (ERG). They also carry an ADN certificate and include a genetic pedigree. 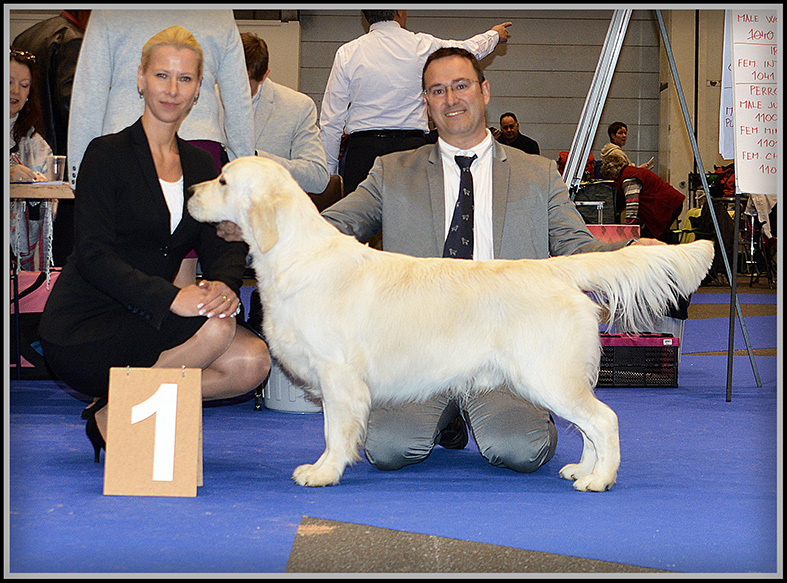 On my website you will find information about the breed, the Golden standard as well as links to other breeders. I have also included pictures and pedigrees of my dogs, their progeny, available puppies, future litter plans, show results and other activities. You are invited to sign my guest book as well. I hope you enjoy your visit to my website and that you will come back soon.